STS Technical Services is hiring Information Security Analyst in Greensboro, North Carolina. 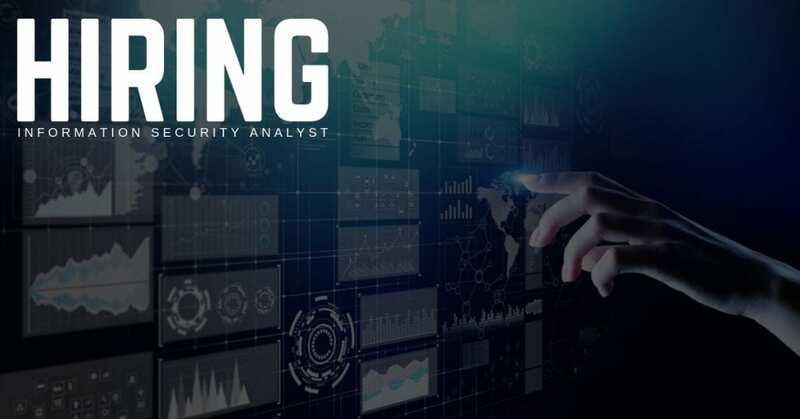 Looking for an Information Security Analyst to assist in building a world class operational security program in order to protect critical data and assets. The ideal candidate must demonstrate conceptual understanding of information security concepts and environments, and the ability to work in a team environment. S/he should be able to work with a cross-functional, multidisciplinary, multi-department, global team to develop robust, cross-platform solutions. Performs network and application technical vulnerability assessments using vulnerability assessment tools. Performs penetration testing activities to detect vulnerabilities and attack chains. Utilizes penetration testing skills to conduct analyses to gather deeper situational awareness and provide greater security insight of the environment. Apply knowledge of technical, analytical skills to ensure the confidentiality, integrity, and availability of all information systems assets and ensure compliance with company policies, procedures, contractual, and regulatory requirements. A recognized information security certification or accreditation such as Security+, CISSP, or CEH is a plus. Experience with systems analysis including, but not limited to: Gathering requirements from stakeholders, Constructing RFP/RFQs, devising and planning proof-of-concepts, defining use and test cases, driving critical security infrastructure projects, creating cogent status reports for senior management, strong technical understanding of vulnerabilities, and how attackers can exploit vulnerabilities to compromise systems.